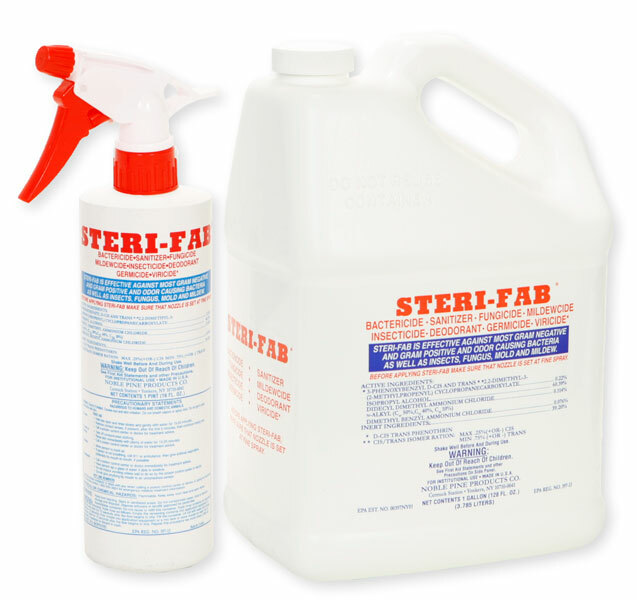 Sterifab is a bactericide and sanitizer. As such, it should be treated with equal respect that is given to household cleaners such as Bleach, Chlorine, Ammonia, etc. I would recommend to keep animals and children away from the treated areas until it has completely dried. Once dried it should not pose any hazard. We have never had a report of any issues with this product.